Exclusive to Oz Trampolines and compliments our high selling 5 star rated Domestic Trampolines, call 1300 393 004 for a free quote. The flush-to-ground model of trampolines will make any backyard look sensational! PRIMUS blends perfectly into the landscape of the garden. Suitable for beginners and advanced jumpers, it is also wheelchair accessible and has proven to be especially effective in rehabilitation therapy. With this design there is no need for safety net, but for those wanting to feel safer we offer corner, half and full enclosures. 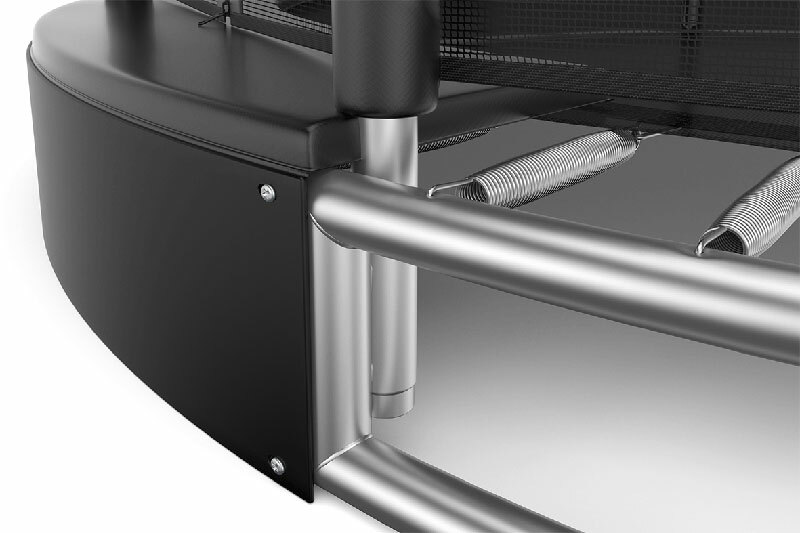 Our developing team took the PRIMUS design to a whole different level with its top feature – ventilating jumping mat which leaves the frame pads securely attached preventing annoying pad lifting and slapping noise. 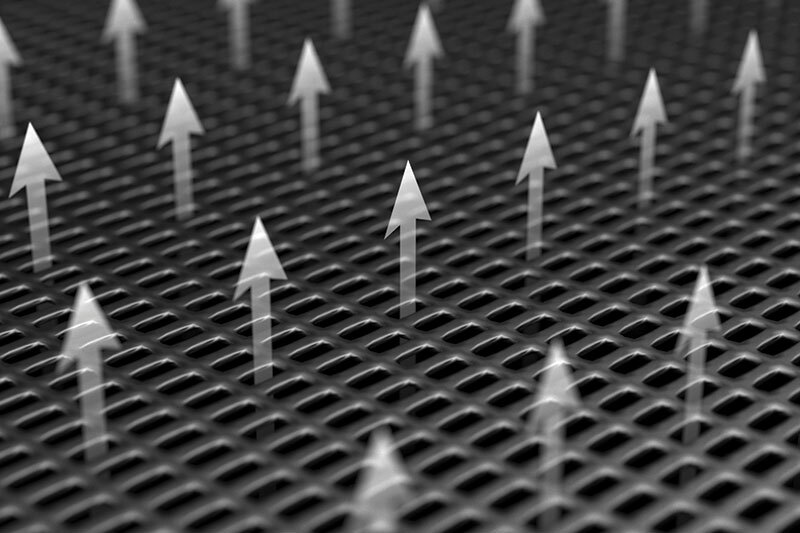 Ventilating air through the jumping mat instead on the sides makes PRIMUS not only quieter but also safer to use. Hot galvanized springs and frame provide protection from all weather conditions and long life time. Specially conical designed springs will give you a very good rebound, carry a lot of weight and have a big resistance to braking. 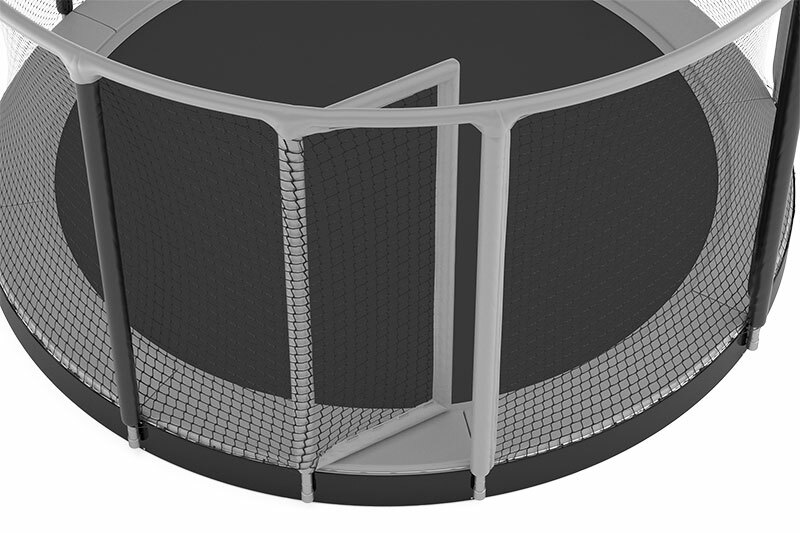 Option of a tear-resistant full net enclosure with self-closing door. 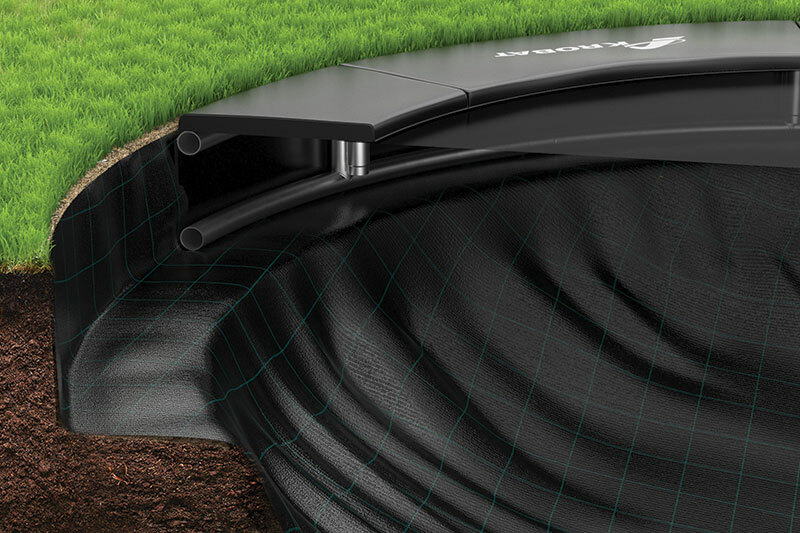 The Gallus safety net is certified for public use, making Gallus In-Ground a perfect choice in a wide range of commercial applications. 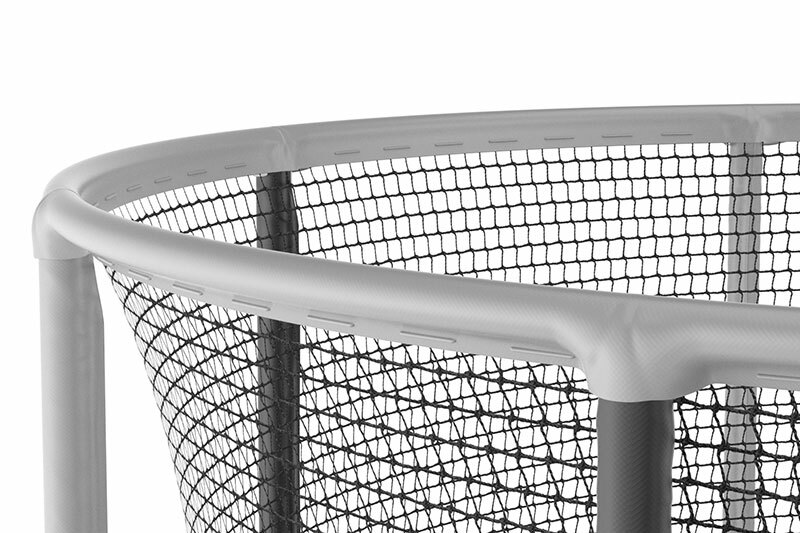 The safety net used in Gallus In-Ground is made of soft, but extremely durable material with very high tear strength. 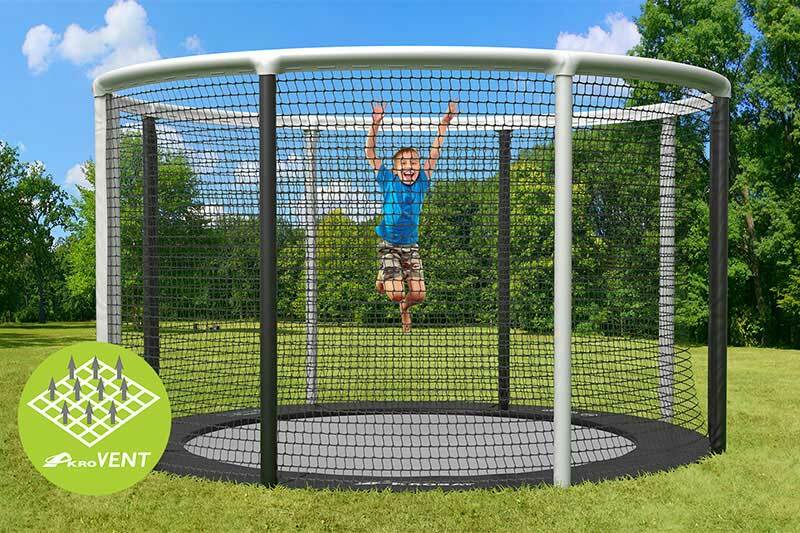 The net is framed between padded metal poles and a strong upper rim which the kids can hold on to without damaging the safety net. The structure is padded for better absorption upon impact. Additional safety is ensured by arranging the entrance through a door, which opens inwards and keeps closed with help of magnets.